There really isn't anything such thing as "motor goat bun" rules in Advanced Squad Leader, but there are rules about WIRE, and we give them a steely look in this episode. Banter includes discussion of the film Guadalcanal Diary, The Fighting Sullivans and War For the Planet of the Apes. We cover a few ASL scenarios that we played lately, including Into The Rubble 17 from Bounding Fire Productions. Listen to the letters from our wonderful listeners and get some ideas about how to store your ASL goodies in order to better travel with it, discover players who are looking for fellow gamers in their area. Learn how to get started in the game. CONTEST! Here is the latest contest... send us a gmail the type of specialty scenarios that would you like to see more of? More partisans? More special forces? Commandos? MGB? Or what historical area should be explored in an ASL product? Brest Litovsk? Corriegedor? Zombies? Send us your opinion by October first and you will be entered into our drawing. 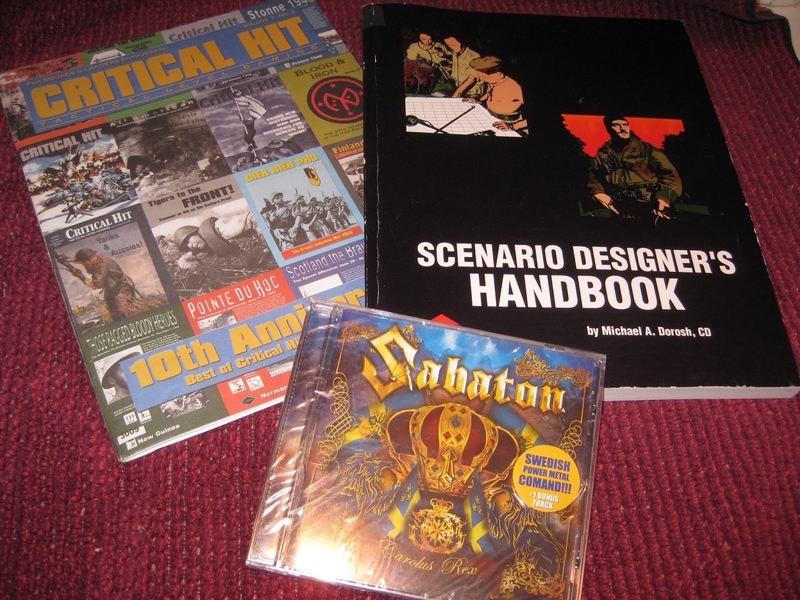 The prizes include The Scenario Designers Handbook (1st place), Critical Hit 10th Anniversary Magazine (2nd place), and the Sabaton CD (3rd place). 1:00 Here We Go A Bantering? 13:20 What Have You Been Playing Lately? Really enjoyed this episode, thank you. The extended Letters section was cool, seems like you guys have built up quite a buzz. Happy days!